As Lafayettes experts in European automotive services, our team of extensively experienced technicians offer world-class service in everything Toyota Repair. Lexus vehicles often require specialized knowledge and training to properly service. Our Lexus Repair experts are qualified to perform the full range of repairs, no matter how complex. Within our Asian auto specialty, our Toyota Service team has experience with nearly every make and model of Toyota vehicles. We pride ourselves on offering the residents of Lafayette the best in Lexus Service. Our auto specialty shop offers everything from complex mechanical solutions to basic maintenance services. Need help keeping up with your Toyota? Its time for a trip to Stan's Toyota & Lexus Repair. Let our Toyota Brake Repair experts get your vehicle running like new. "They are truly dependable and complete quality work!" "Stan’s team is always very patient and thorough." "Always satisfied - my whole family goes there." "Outstanding. And mechanics you can trust." "The team at Stan's is totally committed to customer satisfaction.."
"Great mechanics, we've been using them for 20 years"
"There's no better place to take your car!" "Fabulous, friendly, courteous, always helpful." "The quality of work is excellent. Customer service is.."
"Their work is to be admired and valued. I.."
"Great service, great people, fair price." "Stan's team does everything they promise to do. Communication is.."
"For my 1998 Toyota Camry, in for the 130,000-mile check-up,.."
"Very thorough and professional. Good quality of work. Honest.."
"I would say Stan's is ultra exceptional! They work.."
"I would say, "I trust them." Being an elderly.."
"I have complete confidence in Stan's Automotive quality of work." "Stan's is great. They stand behind their work and go.."
"I always tell them that I can trust Stan's. .."
"Outstanding--competent, thorough, efficient, and friendly." "I couldn't ask for better quality work!" "Always knowledgeable service, friendly staff. A service writer with the.."
"I love the service and quality of the work." "Highly recommend Stan's. Professional customer service and quality of work.."
"Very friendly, practical on repairs, and professional! Was impressed!" "Not to fear! 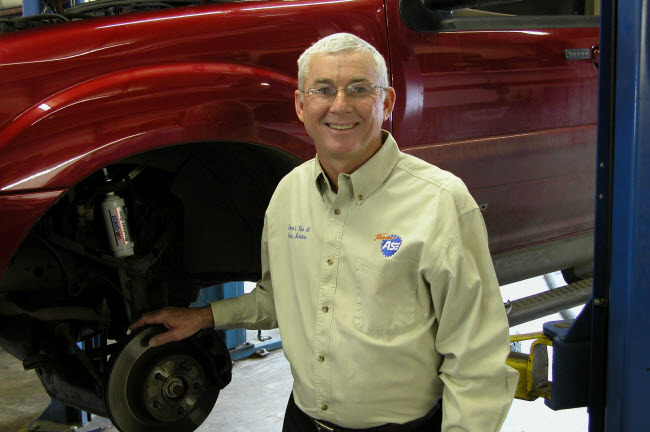 Stan's Automotive will deliver quality and on-time service." "Friendly, accommodating able to help clients with problems and costs. trustworthy." "Excellent customer service and quality of work." "Great customer service. Welcoming, respectful, informative, above-board. They never do.."
"I have been a customer of Stan's for almost 30.."
"I cannot say much about the repairs since the work.."
"Outstanding. You guys are knowledgeable, friendly, and efficient." "Never had a complaint, always seems to be a little.."
"Stan's Automotive is worth it's weight in Gold! Carefully.."
"Professional, prompt and fair pricing"
"It was our 1st visit to Stan's and we decided.."
"5 star auto service center. 20 minute wait in.."
"Stan's has excellent service and cares about the customers." "Trustworthy and genuinely nice people"
"Actually, I do tell my friends that Stan's is friendly,.."
"they treat me like one of the family"
"The best service, quality and trustworthiness that we've ever had..."
"I have been a customer for 20 years. They provide.."
"The shop is best around, with the best most attentive.."
"They are almost always helpful, accurate in their assessment of.."
"Stan's always does a great job!" "Fast, good work. Nice people"
"Service is always done well. I am treated with love.."
"The guys seem to have a great deal of integrity,.."
"Excellent communication! I like knowing exactly what's going on.."
"I have never had a negative experience with them and.."
"Stan's is great - I'd recommend them to anyone. My.."
"Excellent!!! Highly recommended!!! I go to Stan's exclusively at this.."
"I have confidence in Stan's and for a female that.."
"The guys at Stan's do great work and are a.."
"Excellent quality of work, excellent integrity, great customer interaction and service." "Stan's Automotive can be trusted with your car and the.."
"I have always found that their customer service is top-notch..."
"Would recommend Stan's. As a female driver, they.."
"Excellent. Very conscientious and trustworthy." "I am completely satisfied with their service." "I would tell them that Stan's does quality work..."
"Very professional and was aware of the service requirements of.."
"Very accommodating and knowledgeable. Honest and they don't try to.."
"Skilled technicians and cost-conscious in their recommendations"
"Excellent and very trust worthy." "I am very happy with Stan's service. All repairs have.."
"Conscientious, skillful, and careful, but not always the cheapest." "Good reliable work at reasonable prices." "Great, and they really stand behind their work!" "They're honest and proactive. They consistently tell me about upcoming.."
"Know the cost of parts they are going to install.."
"I would recommend Stan's for their high quality of work.."
"Great work and very trustworthy staff." "I am no car mechanic, but the fact that my.."
"We have been taking all of our cars to Stan's.."
"I would tell that person that Stan's offers high quality.."
"Not knowing anything about cars, I can only go on.."
"Very capable in all respects." "You can't find better service in Louisville, Lafayette, or Superior." "Very competent technicians and will explain options if an expensive.."
"Great quality and courteous customer service.."
"Among the best in the state and the nation." "I've been using Stan's Automotive for over 25 years. Have.."
"Excellent customer service! They do great work and back it.."
"You are the best. I never have to worry because.."
"I would say I am very pleased with the quality.."
"Great work, fair prices, great customer service/support." "Very experienced. Does great work at reasonable prices and explains.."
"They are always dependable and honest." "I really like and depend on the knowledge of the.."
"The guys at Stan's provide exceptional service, which is why.."
"Longtime customer. Great service. Honest and reliable." "The quality of work and care for your automobile is exceptional." "I would tell them I receive always excellent service; you.."
"Personable and professional - They definitely seem to put the.."
"Great--only mechanics around that don't lie to you about what.."
"Outstanding!! Professional, courteous, and well-priced. I especially appreciate the complimentary.."
"That they are efficient, clean and friendly. That the people.."
"Stan's provides great reliable service, every time." "Good service at reasonable prices"
"I feel so safe and sure regarding Stan's Automotive quality.."
"A trustworthy business. Has been - still is." "They are VERY honest and reliable. Would highly recommend them!!!" "The team at Stan's Automotive is always friendly, knowledgeable, and.."
"Competent, trustworthy & fair shop." "Very professional personnel as I asked questions for service needed.."
"Exceptional and thorough service every time! Customer service at Stan's.."
"Stan's is a great place for your auto needs!! I.."